This mini storage company is the best I have ever used. They have a very convenient location. The staff is super friendly and knowledgeable. I highly recommend for self storage. Best Storage Facility in the Area!! Very friendly and knowledgeable staff. Extremely clean and well maintained facility. 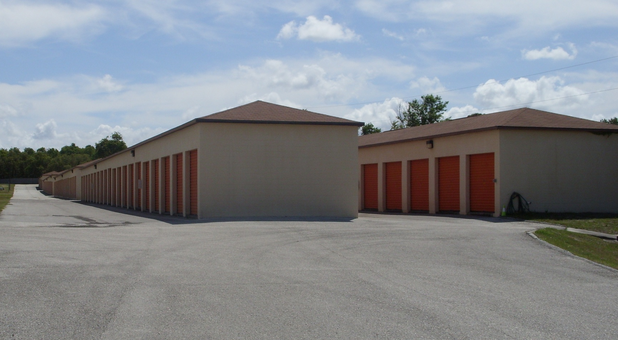 Very large parking AND Inside storage units. Great Location with easy access from US 19! Highly Recommend!! Hey Chris, Thank you for the five star feedback. We are very sorry you had problems with the computer billing. We have implemented to upgrades and all is running well. Please return when you have future storage needs! Best storage experience I have had. These folks are awesome.....Fast, friendly, most reasonable and secure. Like Arnold...."I'll be back!" That was an e-z move in coming to your place! thanks for all your help with all my moving issues today. You helped me out by checking on me and bringing a water. that was just great when I really needed one! Clean, clean, clean, and so easy to get to my unit. Nice office thanks for the chair to sit. awesome friendly people working there. wow and a free water bottle! thanks that was needed too!! Karen and her husband Rick are great people to help us get moved in to my 10 x 20 I rented. Karen, Rick and Marilyn thanks for giving us such nice unit. awesome people, great place to store my things! my unit was completely enclosed with real walls, so no one (or any thing) could get into my things... very high and dry . didn't worry about my things there at all... thanks Karen ! Great Friendly staff, and a very comfortable office with a chair to sit. would highly recommend the place to family and friends. Their name is EZ Mini Storage, and they were so E-Z to get my rental paperwork done and help me with all the interesting places I should visit while in town. Thanks Karen for the pleasant experience with moving my stuff!